It’s Friday morning here in NZ already, so I’m happy to announce that Dwarf Fortress Remote is now available for purchase on the App Store. Visit mifki.com/df for more information, screenshots, server setup instructions and support. Also, there is free DFRCT application that lets you test connection to your server prior to purchasing DF Remote. 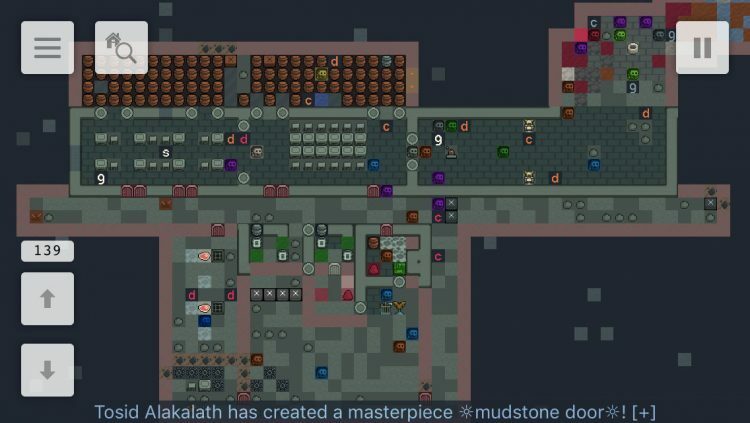 Dwarf Fortress is an open-ended fantasy world simulation/management game from Bay 12 Games, which is free and in constant development since 2002. In Fortress mode, player indirectly controls a group of dwarves, attempting to construct a successful and wealthy fortress. Using DF Remote application, you can enjoy Dwarf Fortress on iPhone or iPad with a fully native user interface optimized for excellent gaming experience and network performance (even on cellular connections). Dwarf Fortress Remote is not affiliated with Bay 12 Games. The original game with a free server component, and an Internet connection are required to use this application. OS X, Windows and Linux are supported as server platforms, as well as installation on a cloud server. The server and the application contain a mechanism that should allow connecting to home servers behind NAT routers. Strike The Earth!